I really hate spending a lot of money on furniture, but I also really hate cheap furniture. Catch 22, eh? But I do love a good hunt and I’ve been so lucky with Craigslist over the years. You have to dig through all kinds of junk, and sometimes it takes forever, but if you can really see through the ripped fabric and the terrible paint jobs, you can score some really beautiful pieces! These are a few iPhone pictures of some ugly furniture I’ve bought over the years. The blue chair was one of the priciest, I think it was about $100, but I’d never seen anything like it. The design was so lovely and the wood was in excellent condition. The wood credenza was probably $50, and it was so brown and so ugly with terrible hardware. Then that red chair, you guys know my love for that chair, that was around $20. It was ugly, but the wood was in excellent condition and the shape was just divine. Those ugly ones are now some of my favorite pieces in the house! 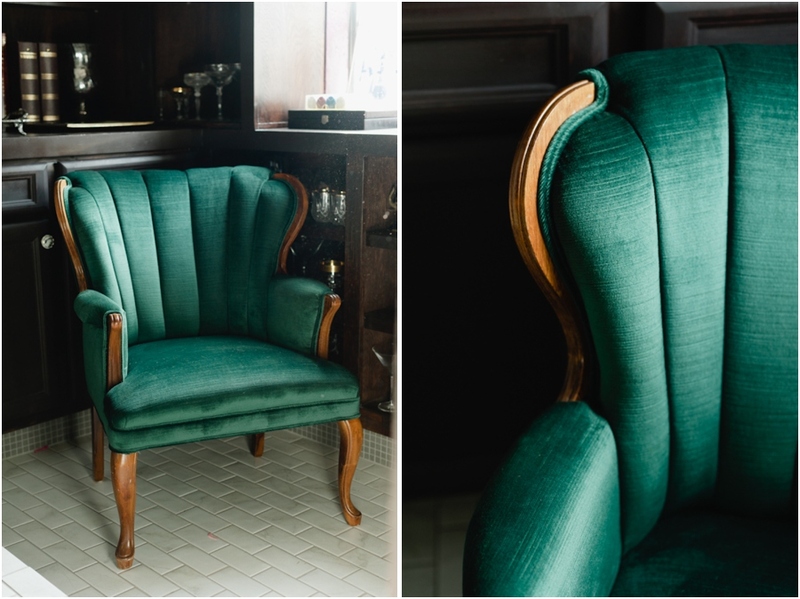 Now, I spend a lot of money at the upholsterer, but it’s significantly less than buying something of this quality new. AND I get to make it exactly what I want it to be. This chair was spray painted with automotive paint (my husband is fantastic, and sprays everything for me with some kind of sprayer thing attached to the air compressor. It’s lovely.) The paint is super thick and shiny and has never chipped. The fabric is from Micheal Levine downtown. A random side table I picked up, probably $25. It was beige I think, a terrible beige. So Chris sprayed it, and I was able to switch out the beige granite top for a marble top when we were doing our countertops. I switched out all of the table tops I didn’t like at the time and it was a great way to use all of the material we’d purchased. If you don’t happen to be renovating a kitchen at the moment, you can have scraps cut at any marble yard, usually fairly inexpensively. 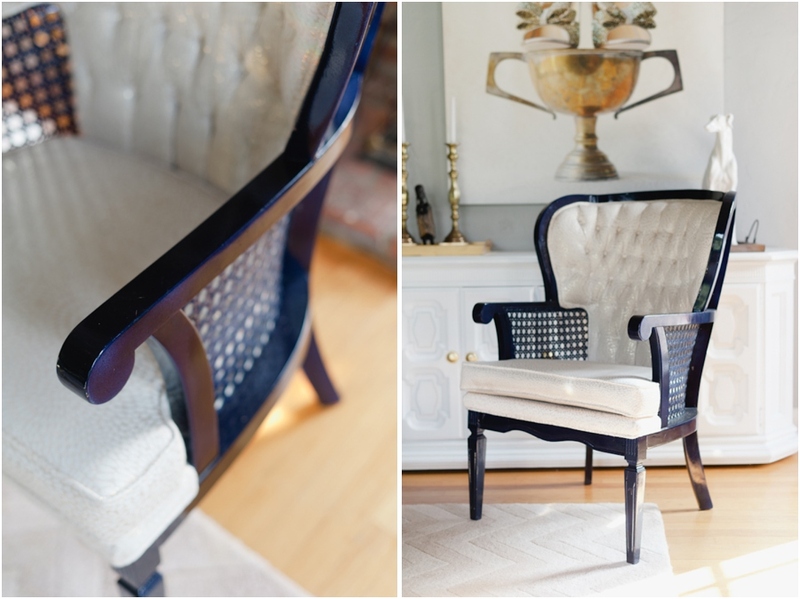 I could wax on and on about this chair. But you know her story and I’ll leave it at that. 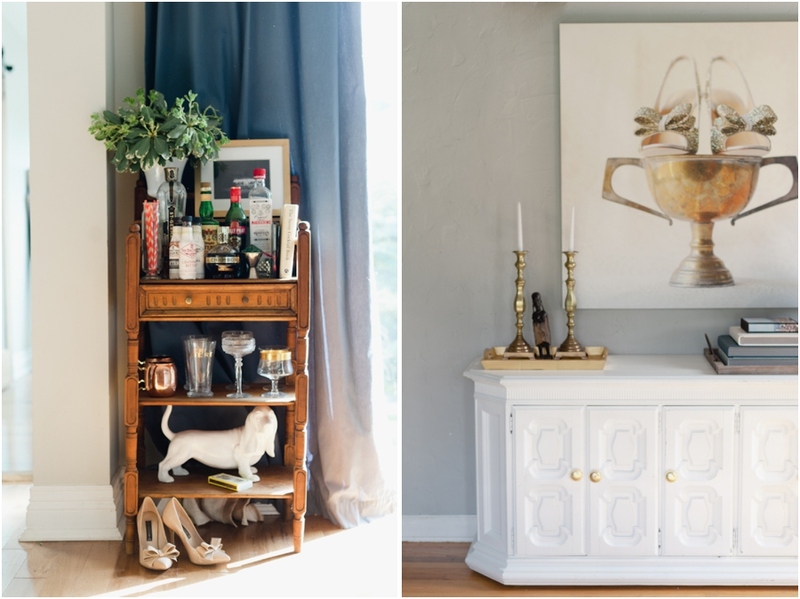 I am obsessed with this bar cart, and didn’t do a single thing to it. It just happened to fill that space absolutely perfectly and was in pretty good shape. It could use a little touching up, and a little strengthening (it wobbles a bit), but we’ve never gotten around to it and it hasn’t fallen apart. And that credenza. I bought it for my office, but it’s in my studio now. 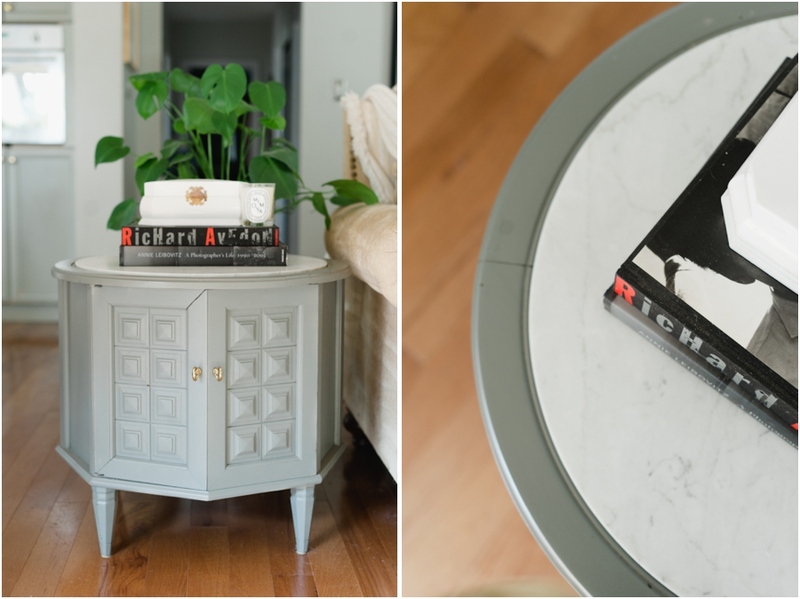 It’s a dining room credenza, and has velvet slots to hold all of your silver in one drawer. But it’s full of office supplies and paperwork now. Chris painted this too, and we switched out the ugly hardware. It is always so shocking what a coat of white paint can do! So, how do you dig through and find this among all the junk? 1. Use Craigs Easy. It’s a program that will show you only the title and full size images on a separate page. No more staring at the tiniest thumbnail images and clicking through all kinds of links. It makes it so easy! 2. If you don’t really know what you want, but need all kinds of things, do random searches. I like “antique French” or “vintage French”. You’ll come back with all kinds of things! If you like more modern lines, search for “danish modern”. Or if you are really into a Spanish style, search for those key terms! Also, I always click “Search Titles Only”, it limit the amount of crap you have to filter. 3. Ignore the paint job and the hardware and the fabric… it’s all changeable! Look at the condition of the parts that you’ll be keeping… ripped fabric is a great detail if you’re going to be replacing it anyway! Notice the lines, and what the piece could really look like with the right accessories. And look for pieces that are really unique! And should I be in a purchasing mood today, I might pick up these guys. And if you’re feeling REALLY crafty… antique baby crib ends for FREE! Would make such a cool twin bed frame if you could repurpose these ends! Posted In: Around The House, Flea Market Finds.